Trusts are wonderfully flexible planning devices — but that does mean you have to do the planning. 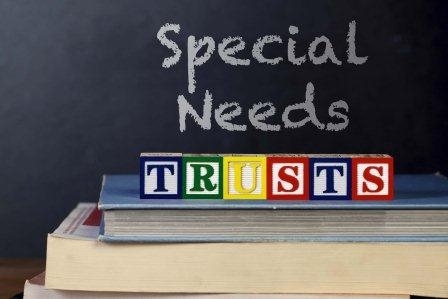 BY ROBERT B FLEMING, CELA and BERNARD A KROOKS, CELA – A client recently asked the following question: I’m thinking about setting up a special needs trust for my son, who has a developmental disability. Will it mean a lot more work for my daughter, who will be handling my estate? It’s a fair question, and one we hear a lot. No one ever asks: “could you please give us the most complicated estate plan possible?” Just about everyone wants things as simple as they can be. In most cases there’s going to be a trust, whether you set it up or not. If you leave money outright to a person with special needs, someone is probably going to have to transfer that inheritance to a trust in order to allow them to continue to receive public benefits. The trust set up after your death will be what’s called a “first-party” (or “self-settled”) trust, and the rules governing its use will be more restrictive. There will also have to be a “pay-back” provision for state Medicaid benefits when your son dies — so you will lose control over who receives the money you could have set aside. Even if no trust is set up, there is a high likelihood that your son will (because of his disability) require appointment of a guardian. The cost, loss of family control and interference by the legal system will consume a significant part of the inheritance you leave and frustrate those who are caring for your son. If you prepare a special needs trust now it sidesteps those limitations. The trust you set up will not be that complicated to manage. People often overestimate the difficulty of handling a trust. Yes, there are tax returns to file, and possible accounting requirements. Neither is that complicated; neither is anywhere near as expensive as the likely costs of not creating a special needs trust. In any event, your daughter can hire experts to handle anything that she finds difficult. There are lawyers, accountants, care managers and even trust administrators who can take care of the heavy lifting for your daughter — or whomever you name as trustee. The costs can be paid out of the trust itself, so she will not be using her portion of the inheritance you leave, or her own money. Yes, they add an expense — but they can actually help improve the quality of life for both your daughter the trustee and your son with a disability. Your daughter does not have to be the trustee at all. We frequently counsel clients to name someone else — a bank trust department, a trusted professional, or a different family member — as trustee. That lets your daughter take the role in your son’s life that she’s really better suited for: sister. If it is right for your circumstance, you might even consider naming her as “trust protector.” That could allow her, for instance, to receive trust accountings and follow up with the trustee, or even to change trustees if the named trustee is unresponsive, or too expensive, or just annoying. Trusts are wonderfully flexible planning devices — but that does mean you have to do the planning. If your son’s condition improves, or he no longer requires public benefits, the trust can accommodate those changes. Depending on your son’s actual condition and the availability of other resources, you might reasonably hope that he will not need a special needs trust — or at least might not need one for the rest of his life. The good news: your special needs trust will be flexible enough to allow for the use of his inheritance as if there were no special needs. The bad news: that is only true if you set up the trust terms yourself — the trust that will be created for him if you do not plan will not have that flexibility. Simply disinheriting your son probably is not a good plan. Sometimes clients express concern about the costs and what they perceive as complicated administrative and eligibility issues and they decide to just leave everything to the children who do not have disabilities. “My daughter will understand that she has to take care of my son,” clients tell us. That’s fine, and it might well work. But do you feel the same way about your daughter’s husband? What about the grandkids and step-grandkids who would inherit “your” money if both your daughter and her husband were to die before your son (the one with the disability)? What about the possibility of divorce or creditors’ claims against your daughter, or even bankruptcy? Most of our clients quickly recognize that disinheriting the child with a disability is not really a good planning technique. But who knows what the public benefits system, the medical care available, or my son’s condition might look like twenty years from now? Indeed. That’s exactly why the trust is so important. Bernard A. Krooks and Robert B. Fleming are members of the Special Needs Alliance (SNA), a national non-profit comprised of attorneys who assist persons with disabilities, their families and the professionals who serve them. Krooks is a member of the Exceptional Parent (EP) magazine’s Editorial Advisory Board and a former president of the SNA.